Heart related diseases are now becoming more common health problems for all ages of men and women. In the past, heart conditions were only attributed to people in the older ages but today with changing time and unhealthy lifestyle the disease is mostly attributed to people because of an unhealthy diet, anxiety, lack of physical activity. Due to the increasing number of heart patients, more and more people are now turning to healthy heart supplements to cure heart disease. Research proves that the use of these supplements can prevent the occurrence of heart related diseases, especially for those people who are already at the last stage of this disease. Below are some of the most common and natural heart supplement ingredients available these days. The body naturally produces this compound. The role of Coenzyme Q10 is to ease muscle pains that are brought about by taking cholesterol-lowering drugs. In a way, it is considered as a best heart supplement as it supports the affectivity of other heart related problems. Studies have revealed that the coenzyme proofs provide best treatment for congestive heart failure. However, up until now, medical experts are still unsure of its exact mechanism of action. Still, the results given out by taking these healthy heart supplements are undeniable and true. Omega-3 Fatty Acid is one of the best supplements for heart found in the market. Several scientists have revealed and proven repeatedly that this healthy fatty acid can help in promoting a good heart and the over-all health of the circulatory system. It can help to reduce the incident of stroke and other heart-related heart diseases. 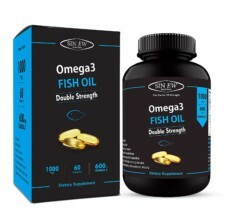 One of the best sources of this healthy heart supplement is fish oil. However, before you start purchasing, remember that fish oil can degrade very easily over time. Thus, to assure quality, look for products that have natural preservatives in them such as Vitamin E and rosemary. Moreover, after purchase, make sure that you put the product in the fridge for even longer shelf life. Research has shown that these healthy heart supplements contain large amounts of Resveratrol, which plays an important part in reducing the risk of heart attacks and related diseases. In addition, it proves that apart from this element grape seed extract also contains powerful antioxidants called pryocyadinins that improve the functioning of blood vessels and prevent the build-up of plaque along these passageways that could lead to conditions such as atherosclerosis. Hawthorn belongs to berry family and is widely harvested for making healthy heart supplements. 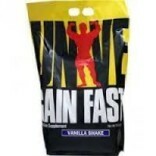 It promotes healthy blood vessels and improves blood circulation back to the heart. Psyllium when used in combination with other cholesterol lowering drugs provides an added benefit. It binds to bile acids in the gut and prevents their normal absorption. Whole grain barley containing at least 0.75 mg of soluble fiber per serving of food can also help to reduce the risk of coronary heart disease. 1. Soya:- By adding soy protein to the regular diet, the levels of total and low-density lipoprotein cholesterol can be decrease easily. Soy nuts might decrease blood pressure and blood sugar slightly. However, there are no long-term studies confirming the beneficial effects on cardiovascular outcomes such as heart disease or stroke. 2. Zinc:- The cardiovascular benefits of zinc supplements are limited to enhancing cholesterol levels in patients on kidney dialysis. Heath experts suggest that the heart favorable ratio of good HDL opposed to bad LDL cholesterol can be improve by using zinc supplements. Therefore, these are healthy, natural and medically tested healthy heart supplements. In addition to heart health products, exercise and stress management is equally important to remove heart disease risk. Leading the list is health heart vitamin that is niacin, a member of the B vitamin family. These health heart vitamins promote higher levels of the protective HDL cholesterol. Before you detect any kind of heart problem, make these heart supplements a part of your habit and be assured of a healthier heart today!